Well, we all knew that Infinity Countdown would lead to something big (you can read our review of the first issue here), but now we finally have confirmation as to what that’ll be. As it turns out, the House of Ideas’ next major crossover event will come in the form of Infinity Wars, which is set to launch this summer. Boasting headliners such as the Guardians of the Galaxy, Doctor Strange, Thanos and Loki, this limited series is sure to feel both otherworldly and cosmic. 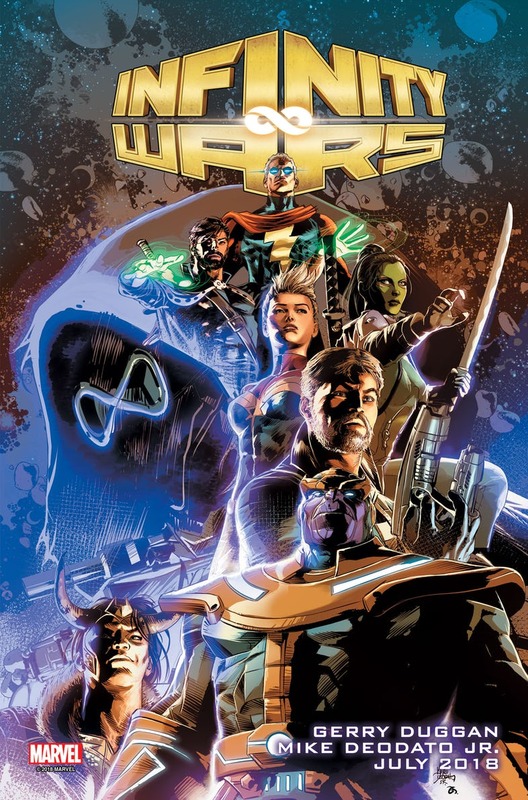 In INFINITY WARS: PRIME #1, the heroes and villains of the Marvel Universe reap what they sow as their frantic search for the Infinity Stones leads to cosmic madness like never before. The simmering events of recent months spiral into something much, much bigger in this colossal story. While we’re certain that this’ll be remarkably different from the upcoming movie Avengers: Infinity War, we’re well aware of how readers will find that premise all too similar. Plus, there have already been complaints on social media saying that this is merely yet another reactionary event, effectively capitalizing on whatever is going on in the films, much like Civil War II. Regardless, it stands to reason that Infinity Wars will be perched at or near the top of Diamond’s sales charts for much of 2018, even if fans often speak of event fatigue. Yes, it seems that both Marvel and DC won’t allow your wallets a rest, and as long as these babies sell like hotcakes, they’ll keep on coming.